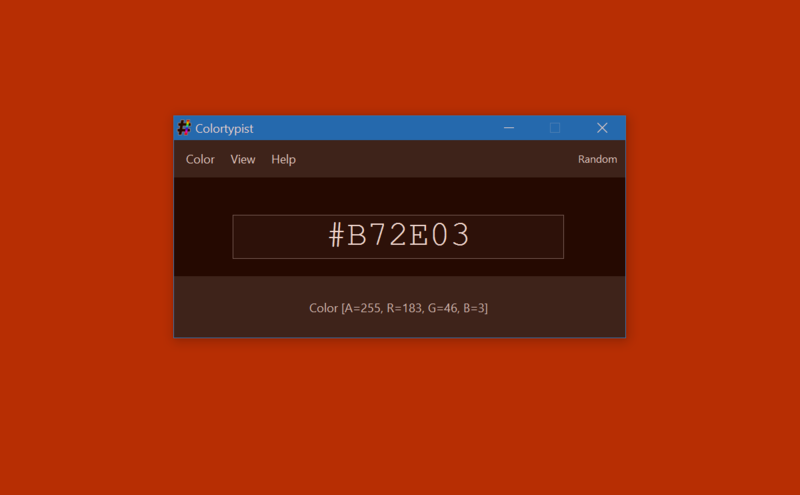 Colortypist Type in a color name or code, and see it fill your screen in real-time, while you type. "Put it all together and Colortypist is a smart graphic design addon, well worth its 40KB download. Go grab a copy now." "It's clear that this was not only made for graphic designers, but by them, as well. It's stylish, smooth, and does exactly what you need it to. ... Colortypist is a phenomenal download to have." "Colortypist, Realtime Desktop Wallpaper Color Selector. ... Colortypist offers a better way of experimenting with different background colors." "Colortypist can be a reliable assistant to any user who works in graphic design or who simply has a passion for the color palette." "Cool tool. I've always used the long winded way. ... Yeah it's tedious, so your tool recommendation is awesome! Thanks."